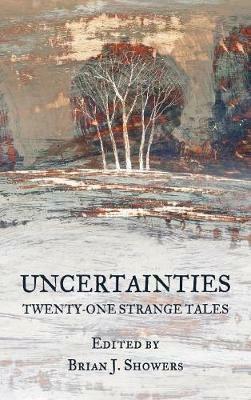 Uncertainties is an anthology of new writing featuring contributions from Irish, British and American authors each exploring the idea of increasingly fragmented senses of reality. These short stories were termed strange tales by Robert Aickman, called tales of the unexpected by Roald Dahl, and known to Shakespeare s ill-fated Prince Mamillius as winter s tales . But these are no mere ghost stories. These tales of the uncanny grapple with existential epiphanies of the modern day, and when otherwise unfamiliar landscapes become sinister and something decidedly less than certain . . ."